This community-based conservation project is restoring the biodiversity on Pomona Island, Lake Manapōuri. Pomona Island is situated in Lake Manapōuri within Fiordland National Park, in Te Wāhipounamu - South West New Zealand World Heritage Area. At 262 ha, it is the largest island in Lake Manapōuri and is the largest inland island in New Zealand. Like many areas of Fiordland, the biodiversity on the island has suffered from the introduction of mammals such as stoats, possums, deer, rats and mice. The Pomona Island Charitable Trust, set up in 2005, is working to eradicate these pests from the island and restore it to its natural state for future generations to enjoy. The long term aim is to re-introduce, through natural and assisted means, bird species native to Fiordland. It is hoped that Pomona Island will become a safe habitat for threatened birds to breed, whilst also providing an accessible location for people to see, hear and learn about the flora and fauna native to Fiordland. This project relies heavily on local volunteers and visitors to the area to undertake work on the island. Many local companies and businesses have also contributed resources. This spectacular 2.6 million hectare area encompasses Westland Tai Poutini, Aoraki/Mount Cook, Mount Aspiring and Fiordland national parks. 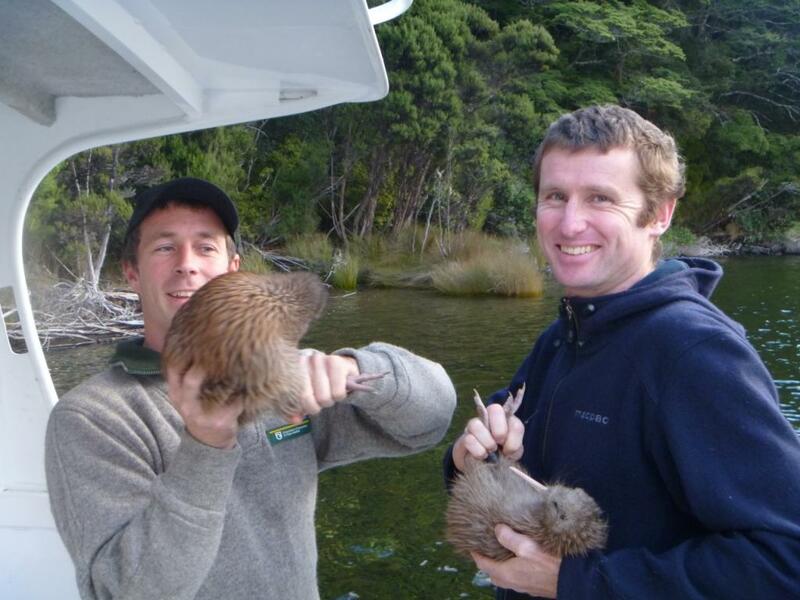 Thanks to the efforts of the Pomona Island Charitable Trust the island’s Haast tokoeka kiwi are kept safe from predators.